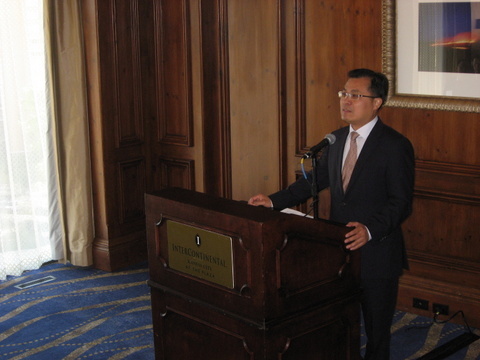 Consul General Zhao delivered remarks at the opening ceremony, during which he praised Snow as a man of integrity and courage as well as with great love, who devoted all his life to promoting China-US friendship. He pointed out that although time has changed, our pursuit of friendship and cooperation between China and the US remains the same. The development of China-US relations has witnessed great progresses since the two countries established diplomatic ties. Last year, President Xi Jinping and President Obama reached agreement on building a new model of major-country relations between China and the US, which has set the direction for the development of the bilateral relations. With joint efforts by both sides, China-US relations will certainly achieve constant progress towards this goal. The Consul General also said that it is always a noble undertaking to enhance friendship and cooperation among nations and promote the lasting peace of the world. He hoped that more and more people in the two countries would join the noble cause of promoting China-US friendship. Since 1982, Edgar Snow Symposia have been hosted biennially by the PFS and the Edgar Snow Foundation in Beijing and Kansas City alternately. The 16th Edgar Snow Symposium lasted three days, comprising speeches, roundtables and art performances. 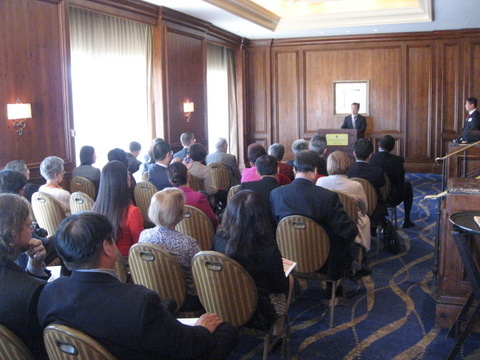 Ambassador Ma Canrong, President of the PFS, led a Chinese delegation of nearly 30 former diplomats, artists and businesspeople to the symposium. The Edgar Snow Foundation President Robert Gamer, the University of Missouri Kansas City Chancellor Leo E. Morton, former Governor of Missouri Bob Holden, former Mayor of Kansas City Richard Berkely, the US Court of Appeals for the Eighth Circuit Judge William Duane Benton and hundreds of others attended the Symposium.